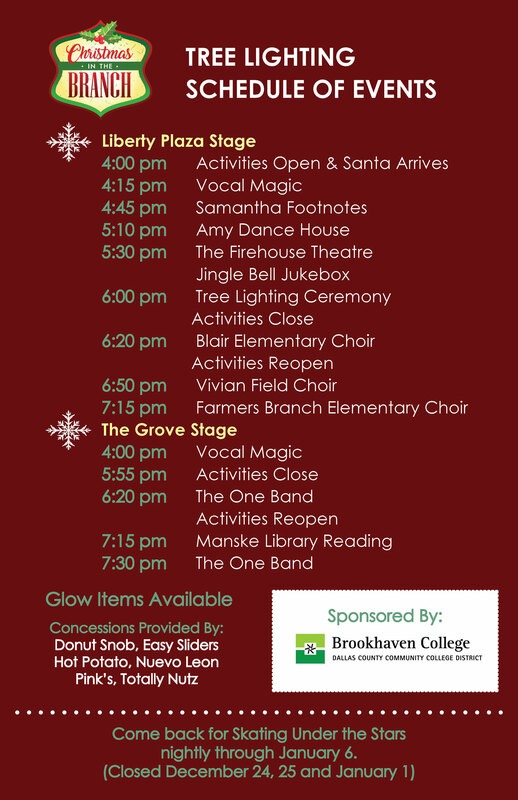 A host of fun awaits your family at the all new Christmas in The Branch, Farmers Branch’s month-long holiday event that kicks off with an evening of activities and entertainment for the whole family! 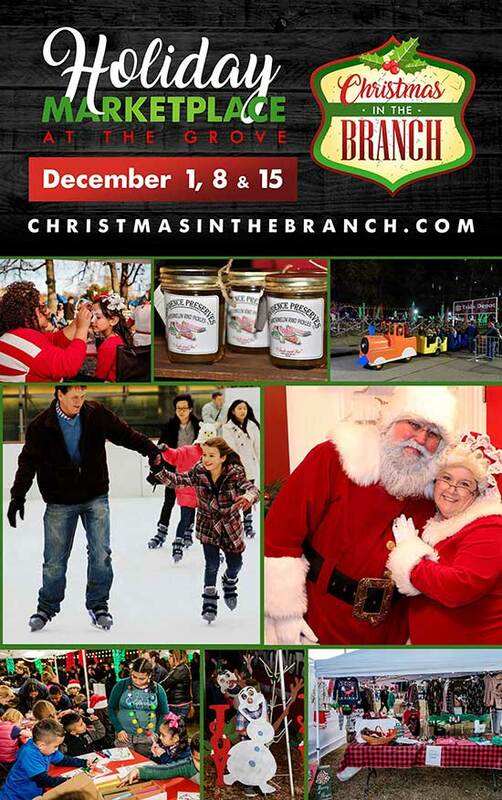 On Saturday, December 1 from 4 – 8pm, welcome in the yuletide with Santa Clause at the annual Christmas Tree Lighting (now at Liberty Plaza), ice skate Under the Stars at the outdoor skating rink, enjoy kids activities and shop local vendors for unique artisan gifts at the Holiday Marketplace in the Grove. Stay warm with yummy treats like hot chocolate and cookies while you listen to festive holiday music. Free admission and free parking.